This police officer responded to a street fight, but once he got there, things turned anti-cop in a hurry. 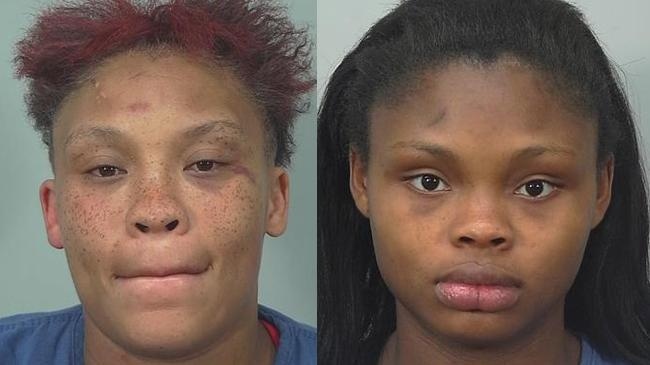 A mother and daughter were recently arrested in Madison, Wisconsin, after assaulting a police officer who was trying to break up a fight between the mother and a man. The officer stopped in the area after spotting a large number of people in the street. He said that as he approached he saw a woman punch a man in the face, and he could see that the woman had a can of pepper spray. As the officer attempted to take the woman into custody he was quickly surrounded and overwhelmed. The officer said that as he went to arrest the woman he was surrounded by a crowd that was voicing anti-police sentiments, including “We need to start killing these officers.” Police said the woman’s daughter was grabbing the officer while trying to free her mother. 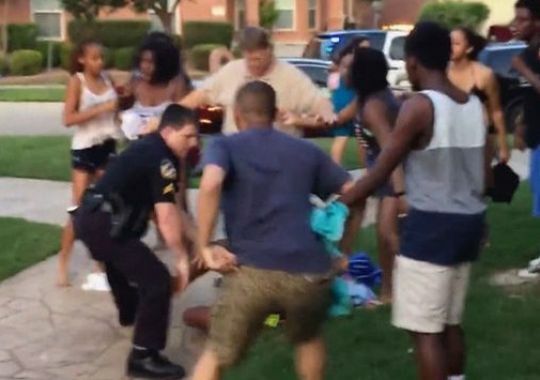 The officer said he tried to diffuse the situation by explaining to the crowd that the woman had just punched someone and was armed with pepper spray. Police said his words were ignored, and the struggle with the two people continued. In the ensuing struggle, the woman punched the officer in the face and grabbed him by the throat, attempting to break free and escape custody. 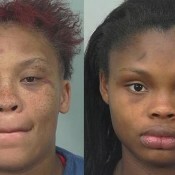 According to WISC-TV, backup soon arrived for the officer and the belligerent mother and daughter were arrested. One witness told police that the officer appeared to be in trouble, with one member of the crowd even attempting to go for his gun at one point. Several members of the crowd were also filming the incident with their cellphones while accusing the officer of misconduct and excessive force, despite the fact that the woman was using force against him. “He demonstrated fantastic patience and restraint in dealing with these folks,” Madison Police Department Cpt. Vic Wahl said. 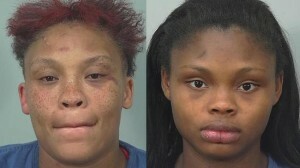 “He was able to literally get assaulted in the midst of a large crowd and still take these women into custody without causing any injuries to anyone.” Forty-year-old Latonya James reportedly threatened to kill the arresting officer numerous times and has been charged with battery on a law enforcement officer, possession of pepper spray, disorderly conduct and resisting arrest Daughter Nanyamka James, 20, faced charges of disorderly conduct and resisting arrest and has been placed on a parole hold. This officer should be commended for keeping his cool while in a highly stressful situation, one in which his very life was threatened.